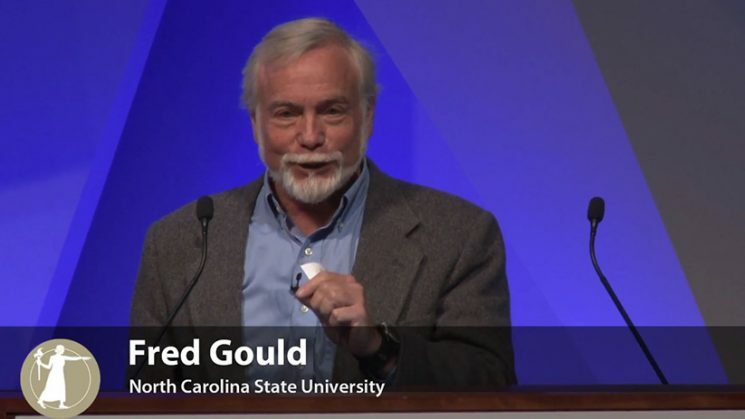 Did you miss Dr. Fred Gould’s talk on ‘Gene Drives in the News’ at the National Academy of Sciences “Science of Science Communication III” Sackler Colloquia? That’s okay, all the videos have now been posted to YouTube. He had initially intended to “explain the nuts and bolts of different gene drives on a Friday afternoon.” Instead, he changed his presentation at the last minute to address two articles published by Kevin Esvelt in the journal PLOS Biology and bioRxiv the day before. The articles state that self-propagating CRISPR gene drives are currently too risky for field trials, and could create new, highly invasive species likely to spread beyond their original environments (whether accidentally or deliberately). 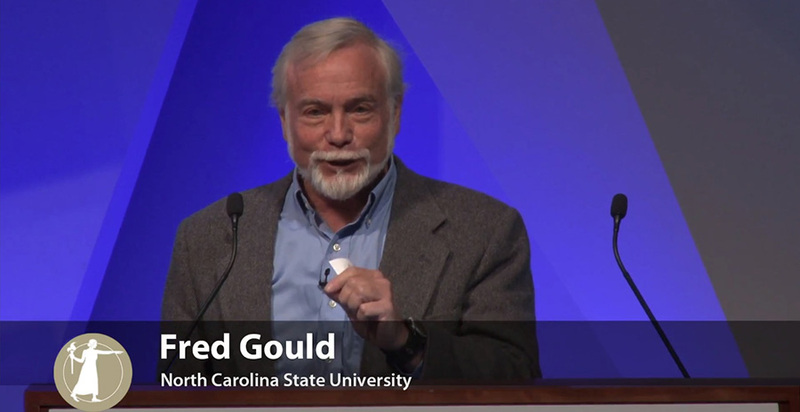 Dr. Gould breaks down what a gene drive is, how they work, and why scientists are developing them. He then looks at, how do you go from research that is taken one way by the scientific community, to media coverage that looks very different to the general public? Abstract: In November of 2017, an interdisciplinary panel discussed the complexities of gene drive applications as part of the third Sackler Colloquium on “The Science of Science Communication.” The panel brought together a social scientist, life scientist, and journalist to discuss the issue from each of their unique perspectives. 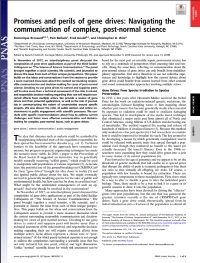 This paper builds on the ideas and conversations from the session to provide a more nuanced discussion about the context surrounding responsible communication and decision-making for cases of post-normal science. Deciding to use gene drives to control and suppress pests will involve more than a technical assessment of the risks involved, and responsible decision-making regarding their use will require concerted efforts from multiple actors. 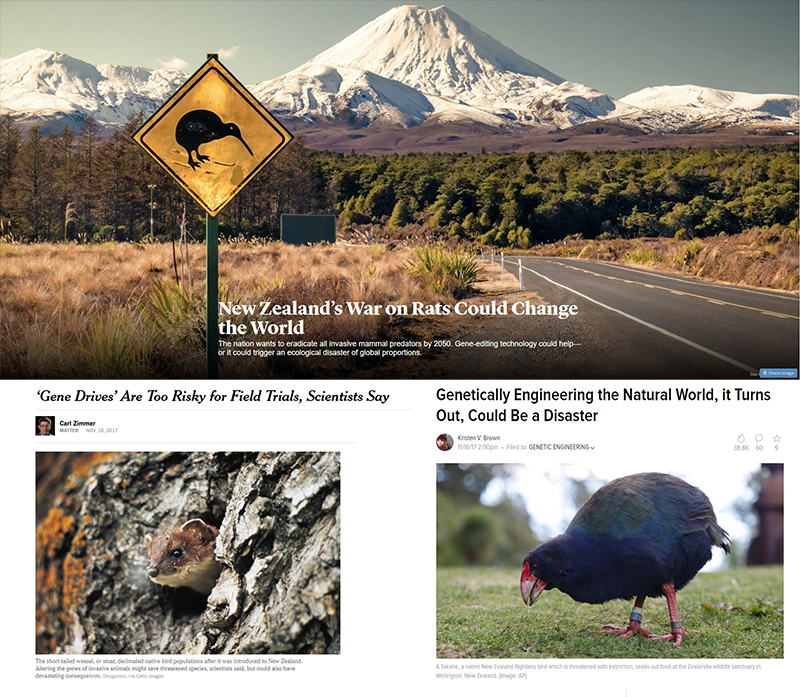 We provide a review of gene drives and their potential applications, as well as the role of journalists in communicating the extent of uncertainties around specific projects. We also discuss the roles of public opinion and online environments in public engagement with scientific processes. We conclude with specific recommendations about how to address current challenges and foster more effective communication and decision-making for complex, post-normal issues, such as gene drives. Scientific American: Could Genetic Engineering Save the Galápagos? « WP: Gene-edited farm animals are coming. Will we eat them?